A paean to authentic wines, describing their fundamental qualities and their power to improve and enrich our lives, from “one of the wine world’s most intriguing personalities” (New York Times). What makes a wine worth drinking? 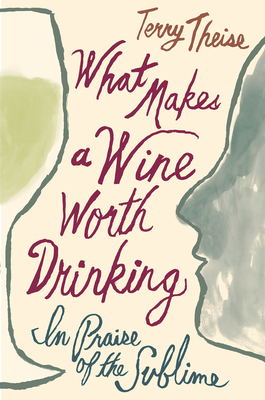 As celebrated wine writer Terry Theise explains in this gem of a book, answering that seemingly simple question requires us to look beyond what’s in our glass to consider much bigger questions about beauty, harmony, soulfulness, and the values we hold dear. Most of all, Theise shows, what makes a wine worth drinking is its authenticity. When we choose small-scale, family-produced wine over the industrially produced stuff, or when we opt for subtle, companionable wines over noisy, vulgar ones, we not only experience their origins with the greatest possible clarity and detail—we also gain a new perspective on ourselves and the world we inhabit. In this way, artisanal wine is not only the key to good drinking; it is also the key to a good life. An unforgettable literary journey into the heart and soul of wine, What Makes a Wine Worth Drinking is a gift to be cherished from a writer “whose id is directly connected to his mouth” (Eric Asimov, New York Times). Terry Theise, winner of the James Beard Foundation’s Award for Outstanding Wine and Spirits Professional, is an importer of boutique wines from Germany, Austria, and Champagne. His articles have appeared in The World of Fine Wine magazine. He was Wine & Spirits Man of the Year in 2001 and Food and Wine magazine’s Importer of the Year in 2006. His award-winning first book, Reading Between the Wines, has been hailed as “the single best book I’ve ever read on why wine matters” (Karen MacNeil, author of The Wine Bible).He lives in Roslindale, MA.